Display the availability of any office, conference room or employee with our 10" slider signs. 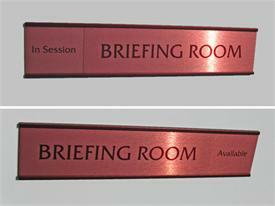 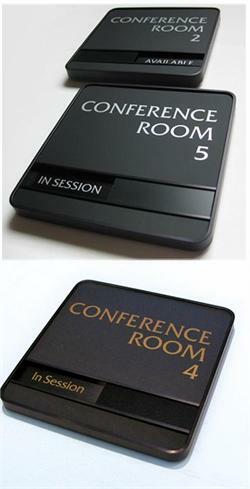 Warm brown metal frame with matching brown print color - customizable front and back nameplates at no extra charge. 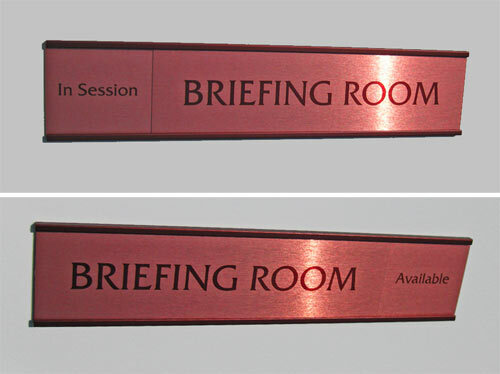 These slider signs feature an open frame design. 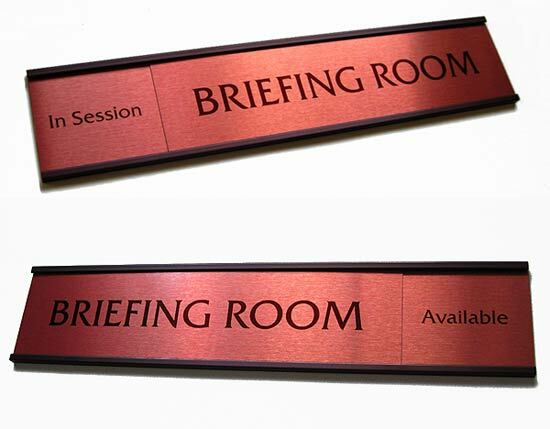 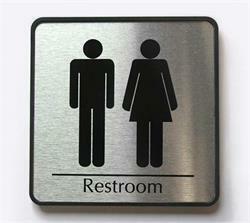 Suitable for board rooms, cubicles, government signs and offices seeking a crisp, clean sign. 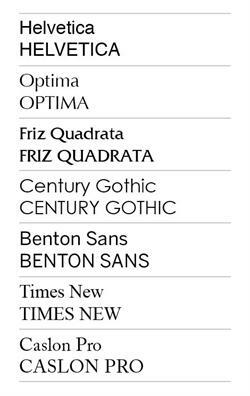 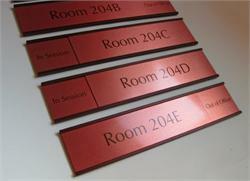 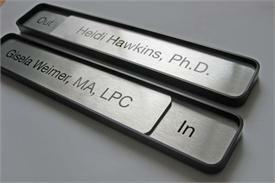 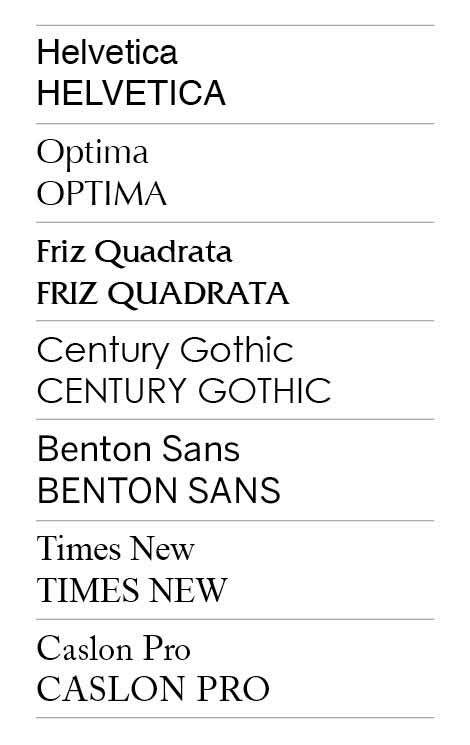 Personalize the top slider plates (up to 5—make sure qty matches number of signs). 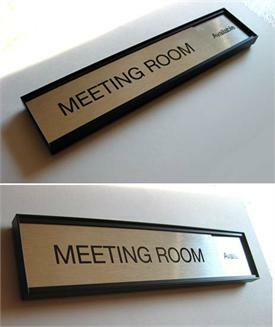 Indicate line breaks using slashes (/), include punctuation if so desired and indicate BLANK if no text.